The Feast marking the end of the physical Temple in Jerusalem and the beginning of the new era, when God dwells among and in us, as the dwelling place (presence) of God. 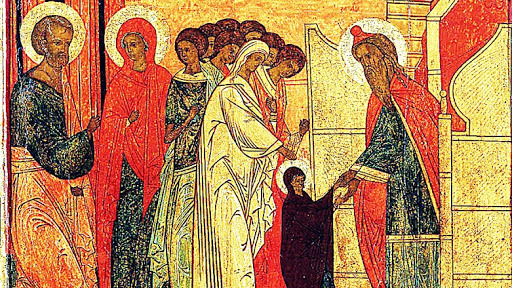 The Entrance of the Theotokos into the Temple, also called The Presentation, is one of the Great Feasts of the Orthodox Church, celebrated on November 21 and December 4. The little girl Mary (aka Virgin Mary) was taken (presented) by her parents Joachim and Anna into the Jewish Temple in Jerusalem, where she lived and served as a Temple virgin until her certain age and betrothal to St. Joseph. One of the earliest sources is the 2nd century writing called Protoevangelion of James, a work that was widely read and considered reliable, and alluded to in the liturgical texts and hymns. 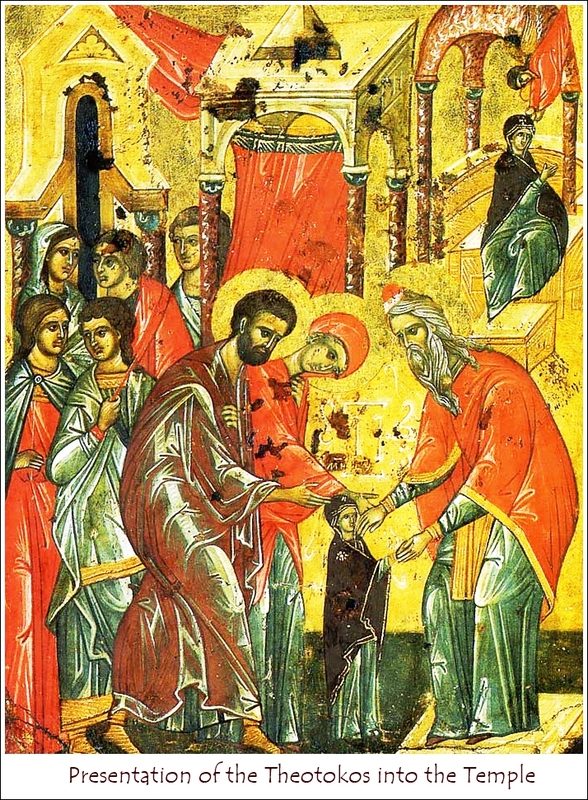 Mary was solemnly received by the temple community which was headed by the priest Zacharias, the father of John the Baptist. She was led to the holy place to become herself the "holy of holies" of God, the living sanctuary and temple of the Divine child who was to be born in her. O Divine Fulfillment of the Creator's dispensation.